There is no doubt that, Android is the most used and popular mobile operating system in the world. The main reason for the popularity is, the phones are affordable in price and the variety of apps available in the Google Play Store. Android O has been launched which is better to manage your background apps; but still, you need to know how to disable Android apps running in background. Android smartphones are resource hunger. That’s why the high-end smartphones have a powerful processor and more ram to manage your multitasking. If your processing speed and RAM are low, then your phone lags when you run multiple apps or games in the background. Suppose, one of your installed apps is always running in the background and eating too much resources, like RAM, Processor, and Battery, then you can stop it by simply uninstalling that app. But, in the case of inbuilt apps like Google’s default apps, such as Google+, Gmail, Drive, Map, etc. it is not possible to uninstall. Most Android phone manufacturers and wireless carriers have preinstalled apps on their devices. They always run in the background and affect your battery life and performance. A rooted user can easily get rid of all these problems, but there are many users who actually don’t want to root their phone. 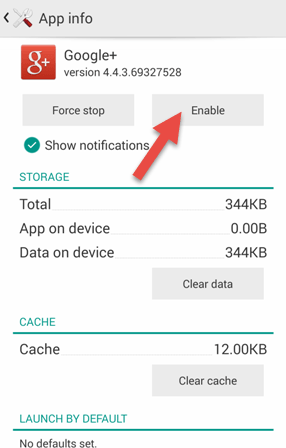 So, here is the simple tutorial to disable Android apps without uninstalling them. 1) In your Android device, go to your phone’s Settings and tap on Apps. 2) Here you’ll see different tabs like Downloaded, Running, All, etc. Swipe to All tab to see all of the applications. 3) Here all apps are arranged in alphabetical order. You can’t disable any app of this section. On an unrooted device, you can only disable the pre installed apps. Now search for your app which you want to disable and tap on it. Here I have taken an example of Google+ app. 4) When you tap on Disable button, it’ll show you a warning that “If you disable a built-in app, other apps may misbehave. Your data will also be deleted.”. Now tap on OK button. 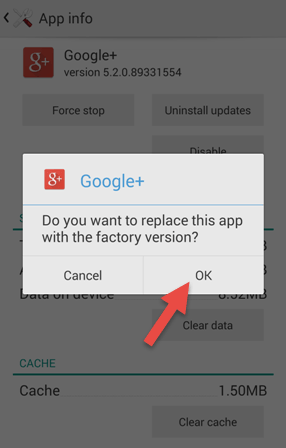 5) A new warning will show that, “Do you want to replace this app with the factory version?”. Just tap on OK button. 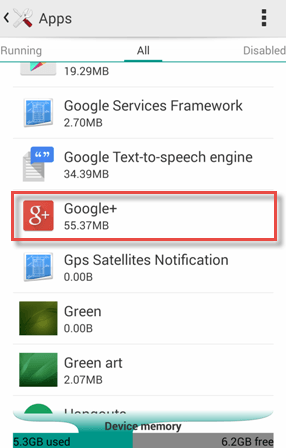 It’ll uninstall the update version of Google+ and disable to the factory version. Now, the app is disabled and won’t run in the background. Anytime if you’ll want to re-enable that Disabled Android app, just go to phone’s Settings >> Apps and scroll to Disabled tab. Search your desired application and tap on Enable button to re-enable it. That’s it. 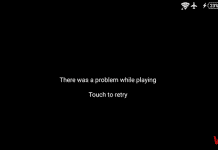 The above trick only works for the inbuilt system apps. If you want to freeze or disable the user apps which you have downloaded from the Google Play Store, then what will you do? 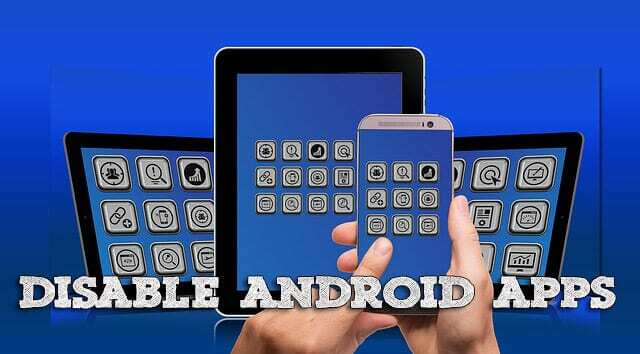 In order to disable Android apps running in background, you need a rooted Android phone. 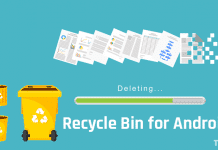 The best apps to disable any app are Greenify and Titanium Backup. Both the apps come in free and paid version. But, the free version is enough to perform your task. Greenify also works on non-rooted phones, but that is not effective. 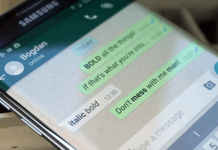 Greenify helps you to hibernate the running apps, but the Titanium Backup completely disable the apps. That means you won’t see the icon of that app on your home screen. The working principle is quite similar to the first procedure where you were only able to disable system apps on a non-rooted phone. 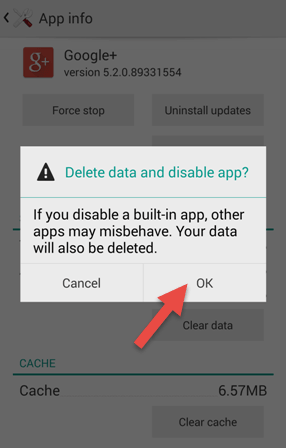 This was the procedure on how to disable Android apps without uninstalling. If you are not using a preinstalled app, then it is better to disable it. 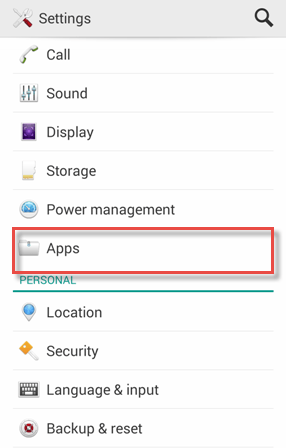 If your phone is rooted, then you can easily disable Android apps running in background. My Samsung note 10.1 (not rooted) only allows me to force stop and uninstall on most apps, very few let me turn them off. Any other ideas?